Stylish, manual punch features mahogany, oak or walnut accents and has a chrome handle. Delivers heavy duty hole punching performance. 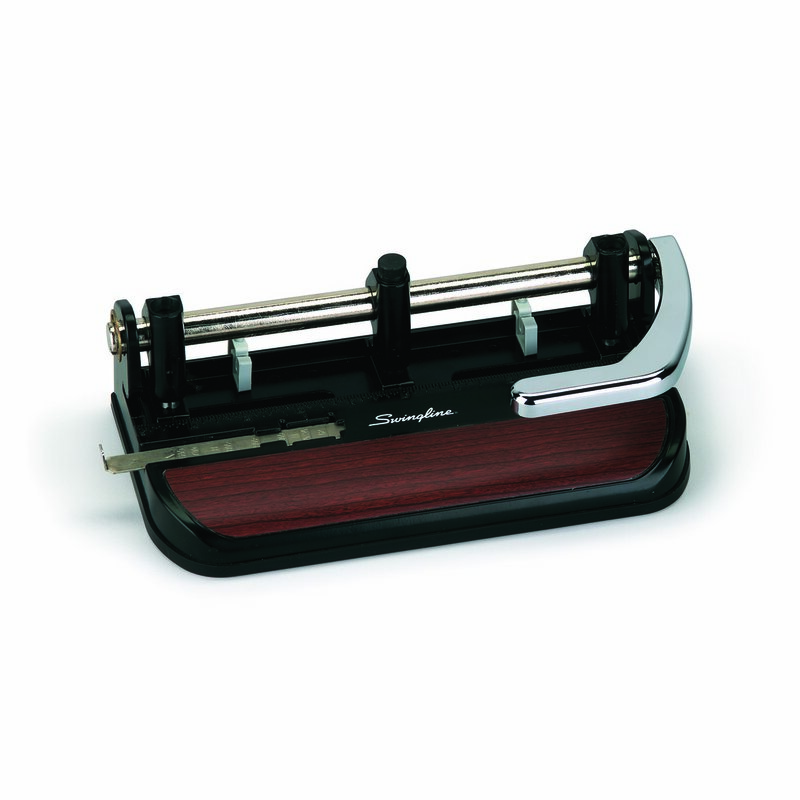 Manual punch comes with 3 punch heads for standard 3-hole paper punching. Additional punch heads can be added for 2-7 hole punching.